The marks of a good teacher are a love to learn and a desire to pass on that love of learning. You’ve probably heard someone say at one time or another in your career, that a good teacher can teach anything! I heard it from a sly administrator just before I was to heading out onto the basketball court to sub for the boys PE coach many years ago. But it is true. It’s the joy of learning your students catch from you. The content is secondary. That’s why I love writing Gynzy lessons to share with other teachers. Today I wrote a Valentine’s Day lesson, click here to open it. I simply love to learn. There is so much joy in the creating process and I love trying to keep up with all of Gynzy’s new bells and whistles. Every time I turn around, they have a ton of new ones. This lesson for Valentine’s Day was fun to create. I got to research the history of the holiday and in the process, I was fascinated by what I learned about Valentine cards and their history. I think you’ll enjoy taking your students on a stress free field trip to ancient Rome where soldiers were forbidden to marry and finding out about the beheading of St. Valentine. It would be a great way to segue to making or passing out Valentine cards. 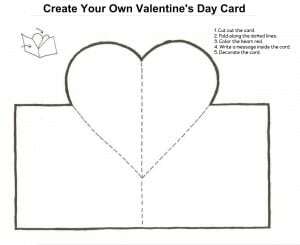 Let your students create their own Valentine’s Day Card. You can find and print this example in the Valentine’s Day lesson plan. The famous couple’s game at the end of the lesson combines a little history and some English literature for fun. You could play it boys against the girls for some extreme competition. Play a Valentine’s Day game in your classroom. One of Gynzy’s lessons offer 5 Find the differences games in Valentine’s style. A fun activity to use in your classroom and suitable for all ages. Use this holiday to teach them something new and add some pizzazz to the day. After all, you are a great teacher! That’s why you took the time to read this blog.